Welcome to this wonderful maintained home on a large corner lot in a cul-de-sac. Light and bright open concept main level living offering 9 foot ceilings. The kitchen includes all appliances, has a center island, and many cabinets for all your kitchen storage needs. 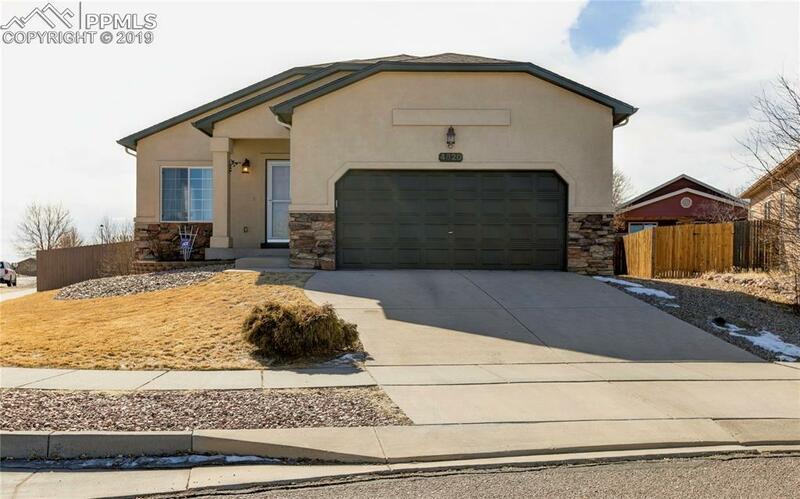 The family room has a cozy gas fireplace and leads to the fully fenced back yard with concrete patio, well manicured lawn and sprinkler system. The spacious master bedroom, with adjoining bathroom with tub, and has a walk-in closet. There are two additional bedrooms and hallway full bathroom. The home includes newer carpet, newer flooring, washer, dryer, newer water heater, impact resistant roof installed in 2015. Close to park, walking trail, and everything on the Powers corridor.